Lowering excise duty on petrol, diesel, and other fuels, branded fuels. An additional 15,000 km of pipelines to develop using appropriate PPP models. Focus on increased penetration and usage of piped natural gas (PNG). 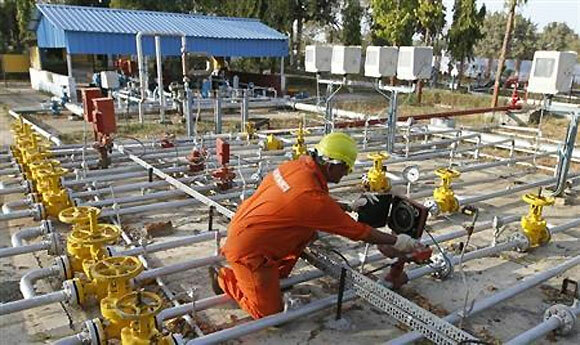 Positive for all city gas distribution companies like Indraprastha Gas, Gujarat Gas, and GAIL. Reduction in basic customs duty for petrochemicals and chemicals to encourage new investment and capacity addition. Beneficial for RIL only to the extent of transfer pricing, since it is fully integrated. Customs duties on mineral oils including petroleum & natural gas extracted or produced in the continental shelf of India or the exclusive economic zone of India shall not be recovered for the period prior to 7th February, 2002. Extend the benefit under section 80-IB(9) of the Income Tax Act from 7 years to 10 years to companies engaged in production of mineral oil and natural gas. It may further be provided that benefit under section 80-IB(9) of the act shall not be restricted only to blocks licensed under a contract awarded till March 31, 2011 and the period March 31, 2011 be extended till March 31, 2017. Definition of infrastructure sector in the explanation to Section 80-IA of the Income Tax Act should be amended to include exploration and refining activities. Accordingly, exploration and refining undertaking may be allowed deduction for 10 consecutive assessment years as against 7 years at present out of 15 years period. Scheme for refund of service tax paid by E&P companies on the services consumed for exploration and production purposes. Union Budget 2014-15 was neutral for the oil and gas exploration and allied services industry in absence of any announcement targeted at the sector. None of the demands of the industry were met.